The elongated impression that is created by the 4918 makes it prefect the perfect stamp for printing contact details with a company logo appearing alongside. Self-inking Printy 4918 has a maximum of 2 lines, and impression size of 75 x 15 mm. Suitable replacement pads 6/4918 are available in black, blue, red, green or violet. Dry felt pads are suitable for special inks. Replacement pads are supplied in multiple packs of two. 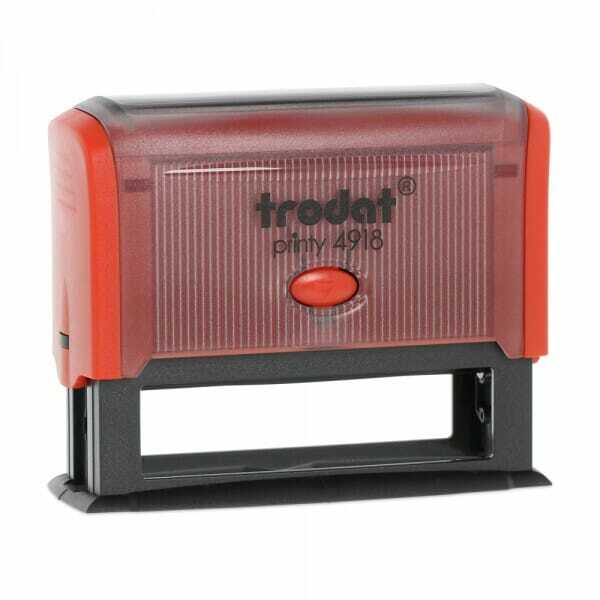 Customer evaluation for "Trodat Printy 4918 75 x 15 mm - 2 lines"